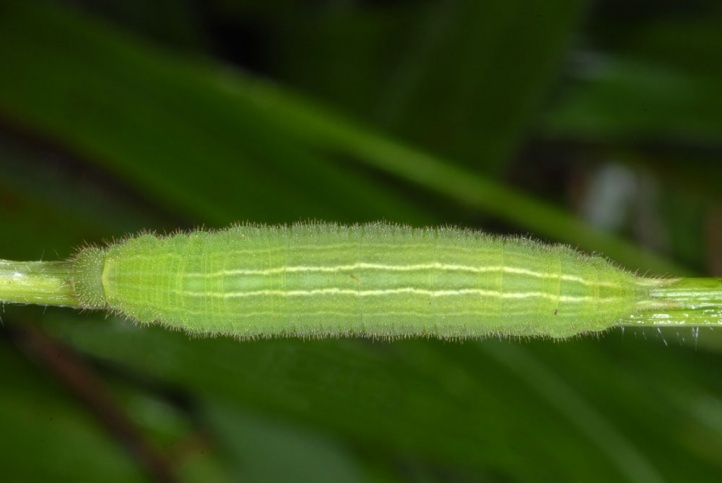 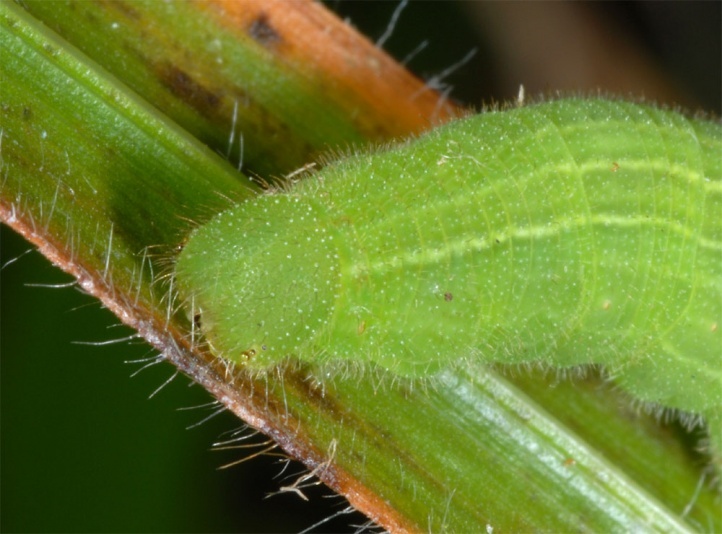 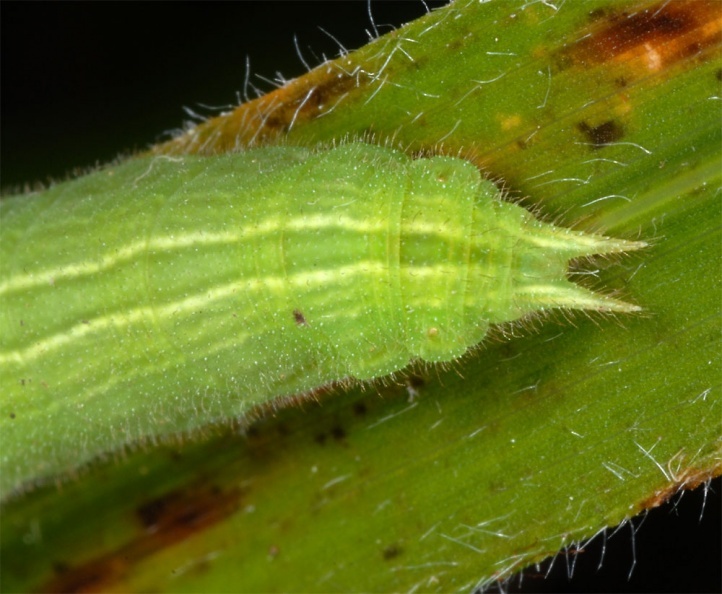 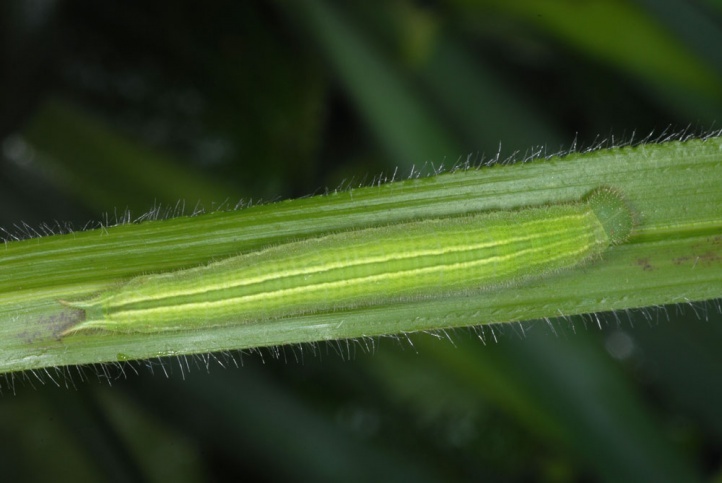 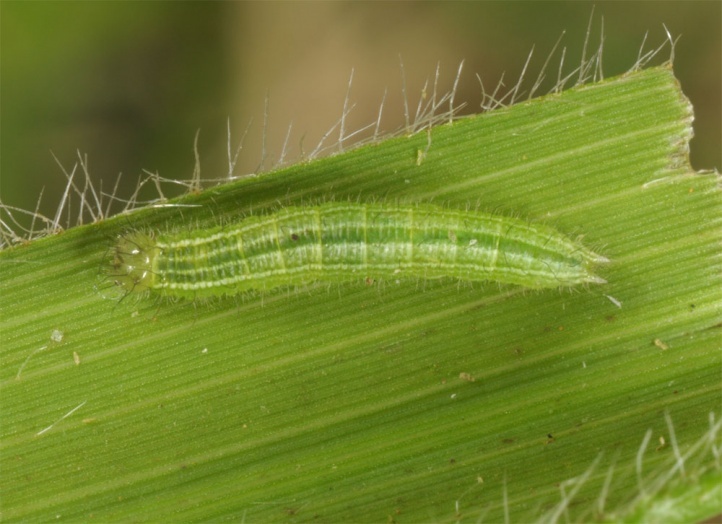 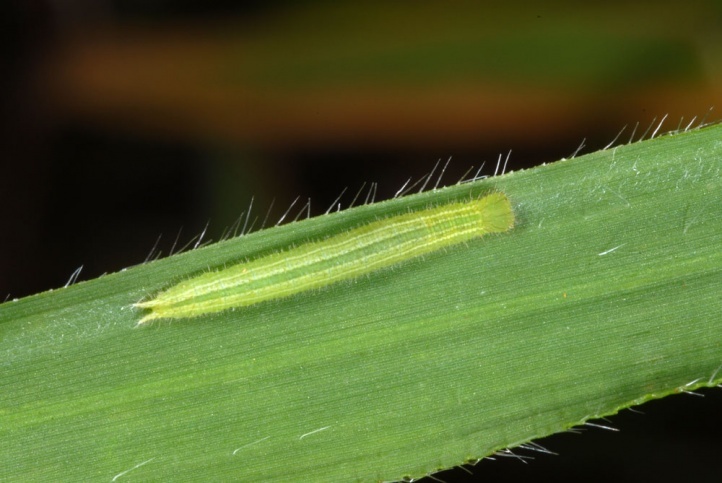 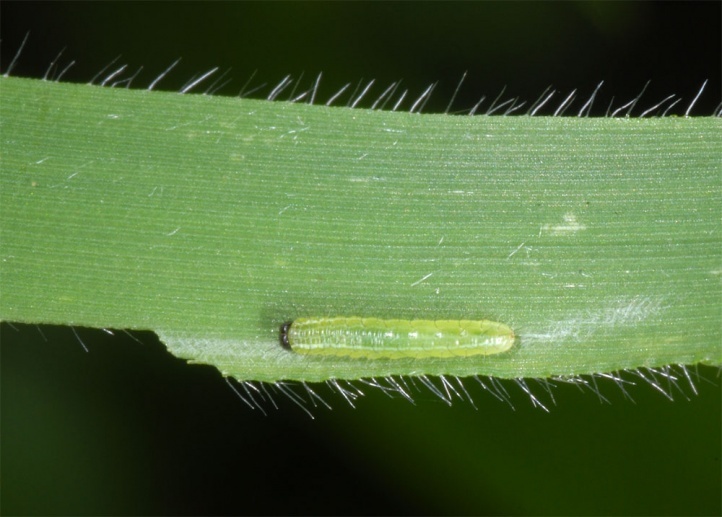 The larvae feed on grasses, especially on Brachypodium sylvaticum and Festuca donax. 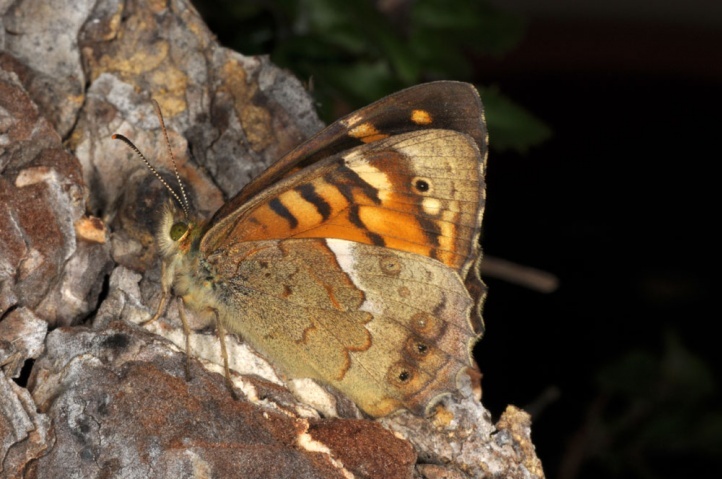 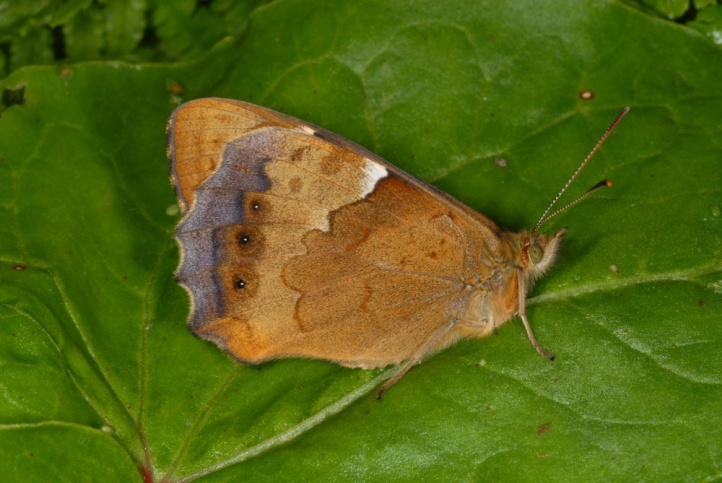 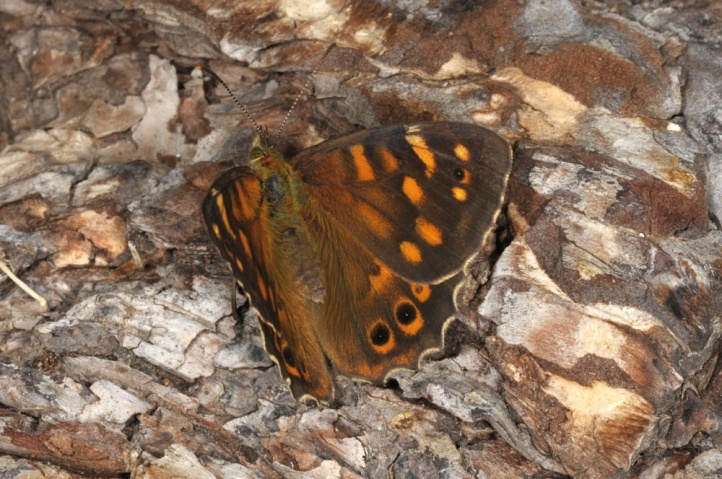 Pararge xiphia inhabits clearings in the laurel forest up to 1200m asl, in other woodlands and sometimes also in structure- and bush-rich open country (e.g. 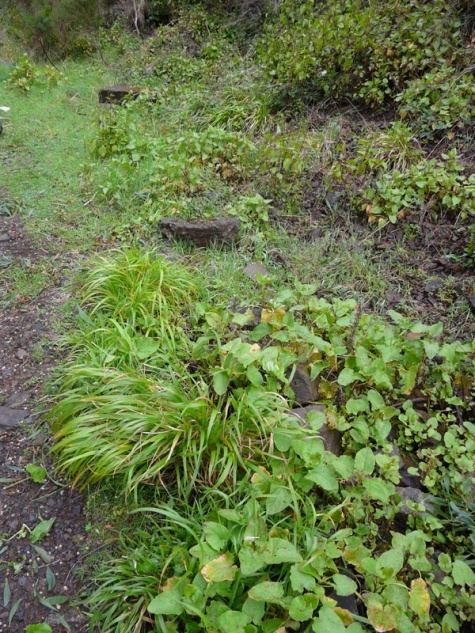 in small scale and wall-rich cultural landscapes near Ribeira de Janela). 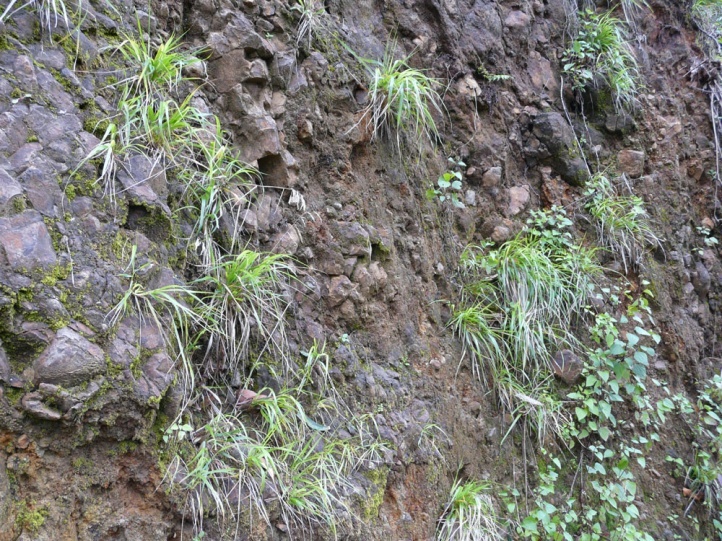 Pararge xiphia uses often shady walls, steep embankments or rocks as larval habitat. 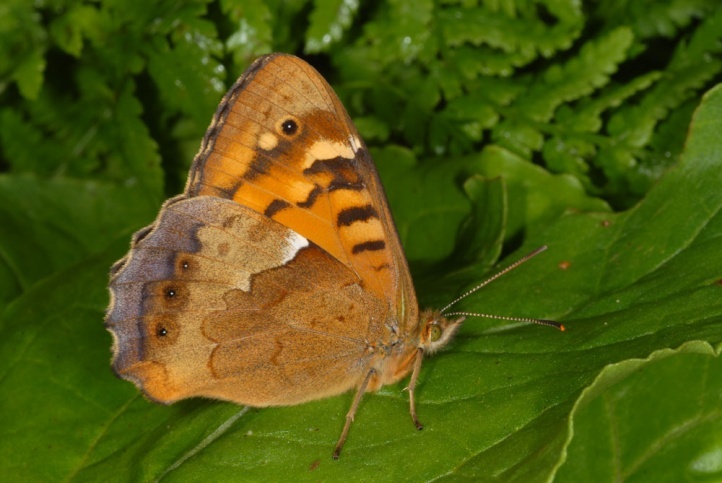 Pararge xiphia is on the wing all year round. 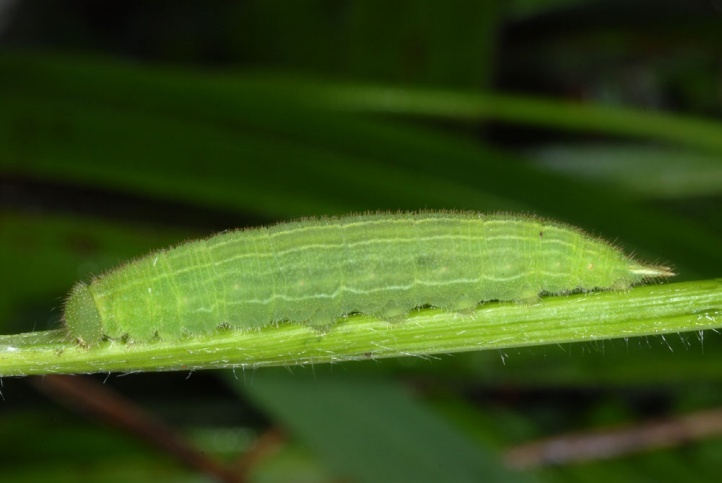 The larvae live on the broad grass leaves also at daytime and construct a seat webbing like Apatura larvae. 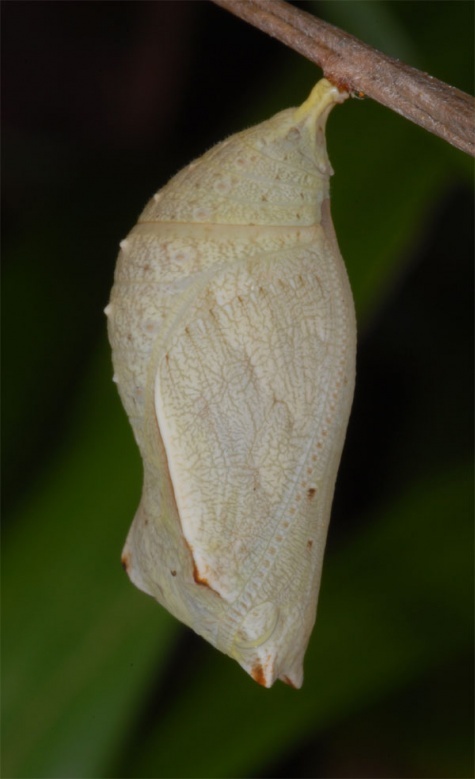 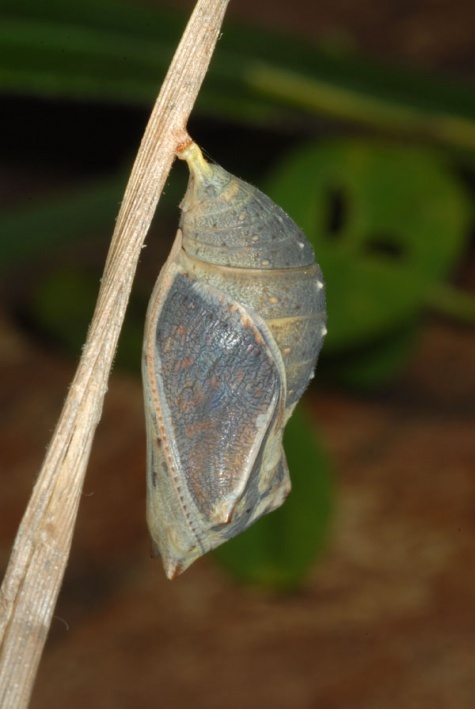 The feeding pattern is often quite striking as the larvae do not consume the whole leaves. 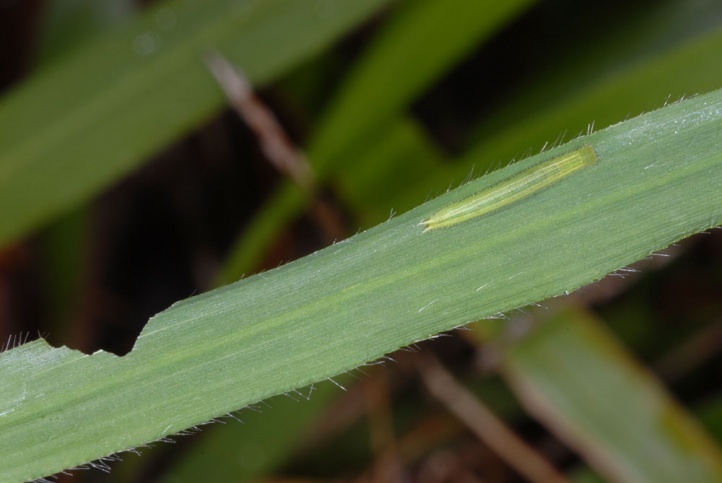 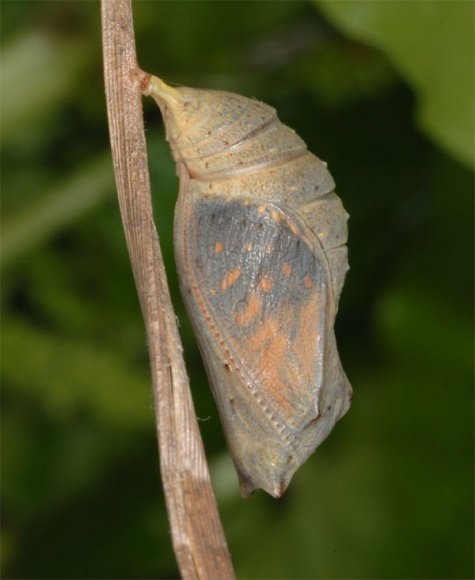 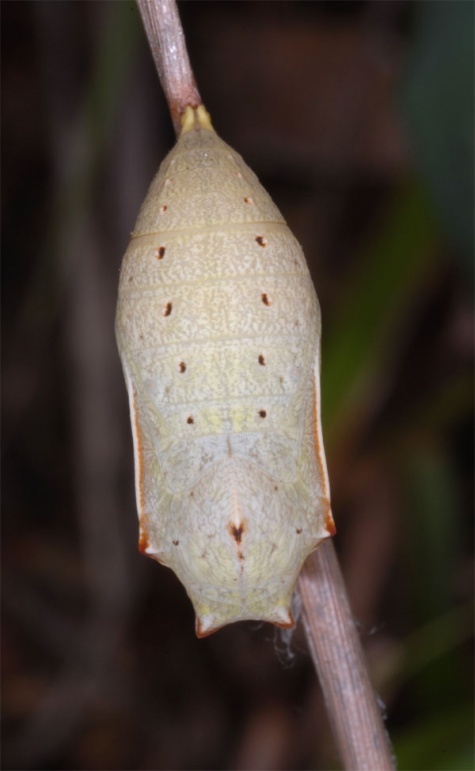 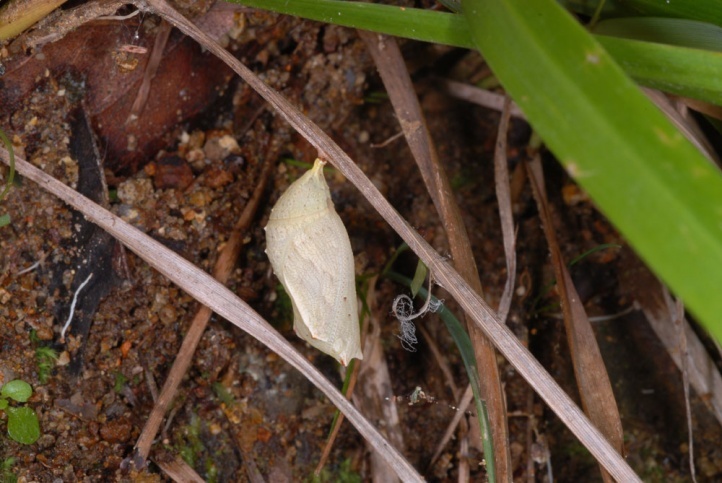 I observed the pupa on oald blades in a north exposed, steep embankment with Festuca donax. 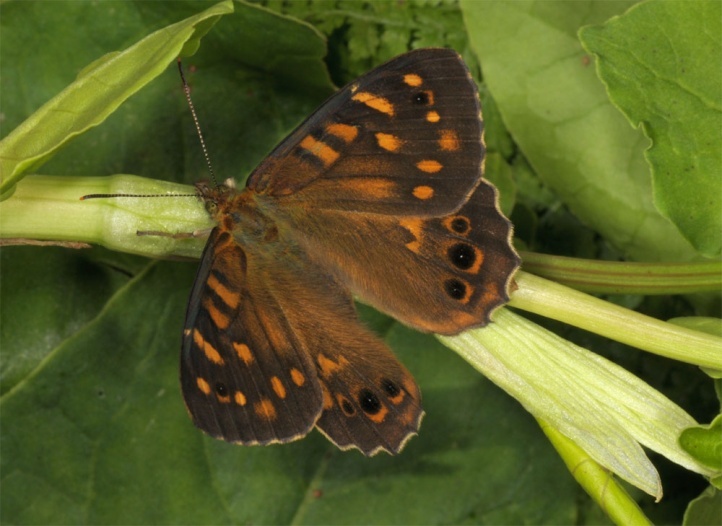 Pararge xiphia is potentially endangered in lower elevations by housing sprawl, more intense agriculture with larger fields and less structures. 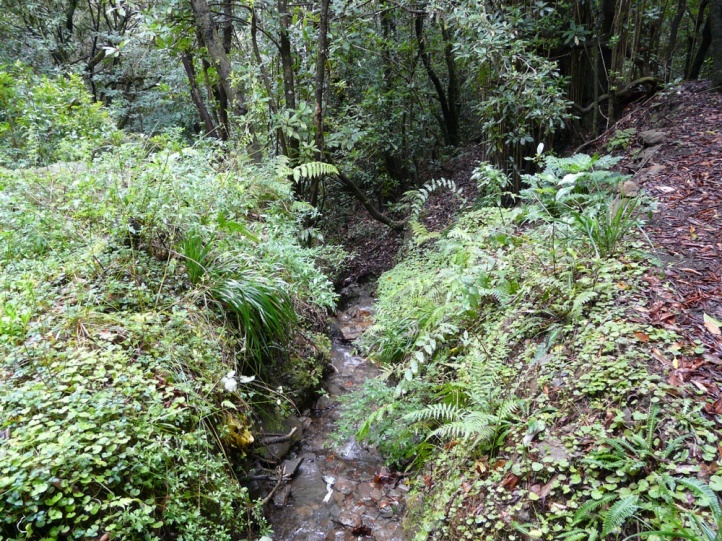 A second factor is forestry (afforestation with non-native trees like Eucalyptus and others). 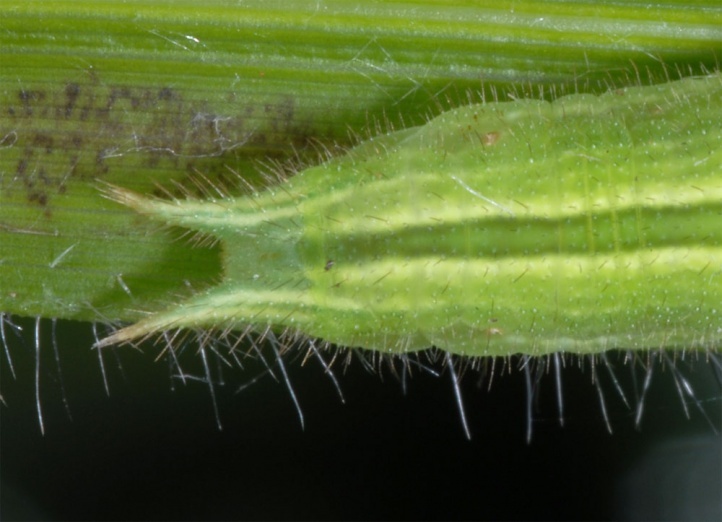 Moreover, Pararge aegeria has been introduced which can push back Pararge xiphia, too. 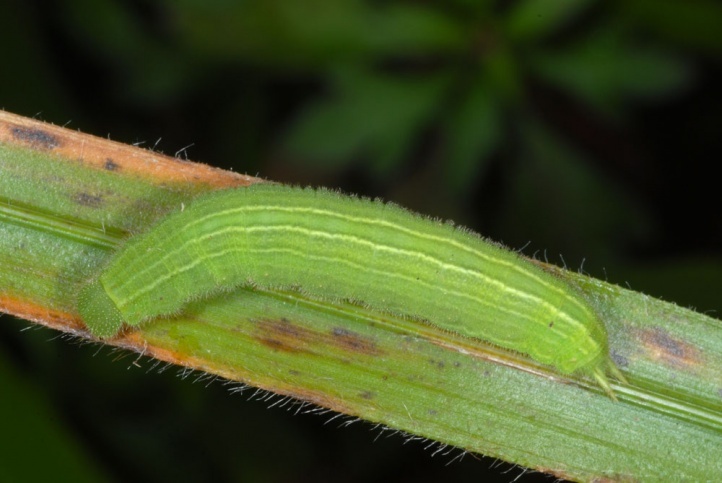 I observed both species often syntopic on Madeira in March 2013, but Parage aegeria seems to cope better with foreign tree cultures than Pararge xiphia. 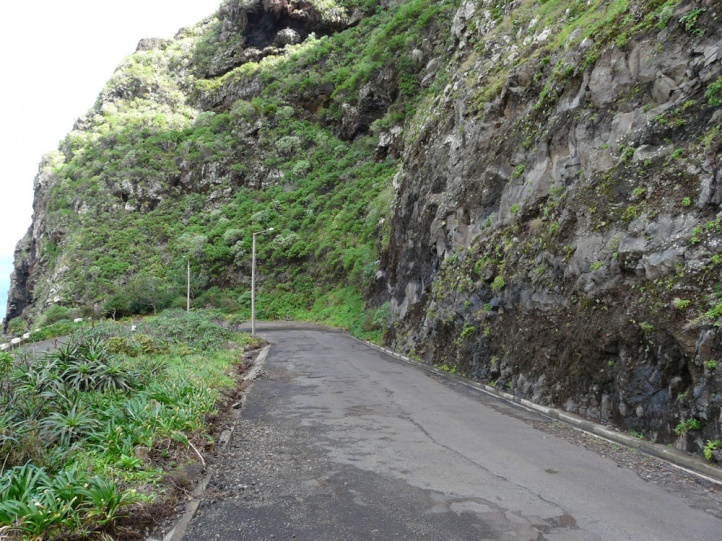 Pararge xiphia is endemic to Madeira (Portugal). 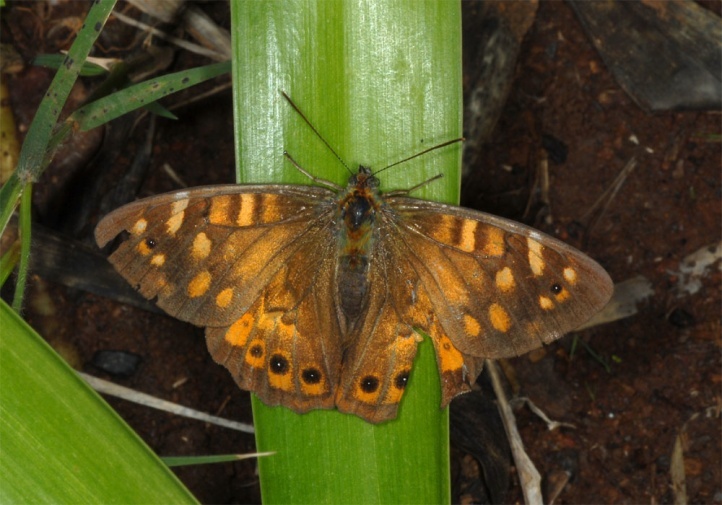 Pararge xiphia can be determined by its size and darker coloration. 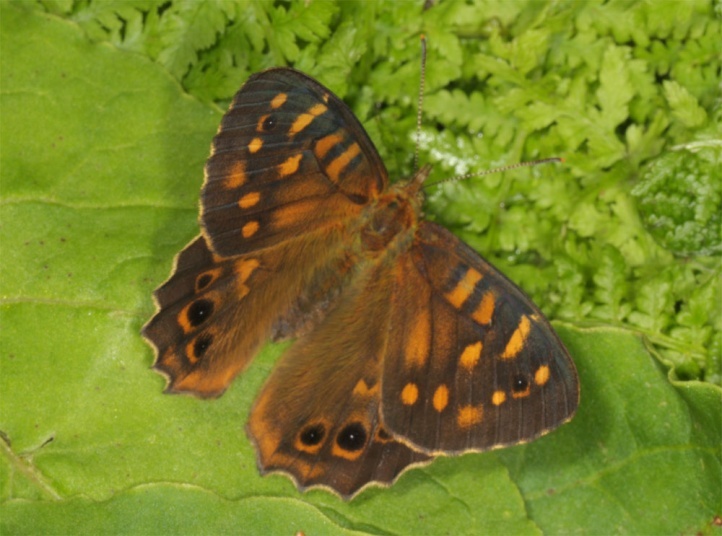 Moreover, its flight is more gliding, whereas Parage aegeria shows a more fluttering flight.